Kentucky 68: Notre Dame 66. That was the best college basketball game of the year. The Notre Dame Irishmen gave Kentucky all they had. They gave Kentucky fits and fists and battled and baffled the presumptive champions until the final buzzer. They left nothing in the tank and put everything on the court, and that’s the way the game should be played. Wow. What a lesson in how both to preserve and give 100% and how to hang in there and give it all you’ve got. 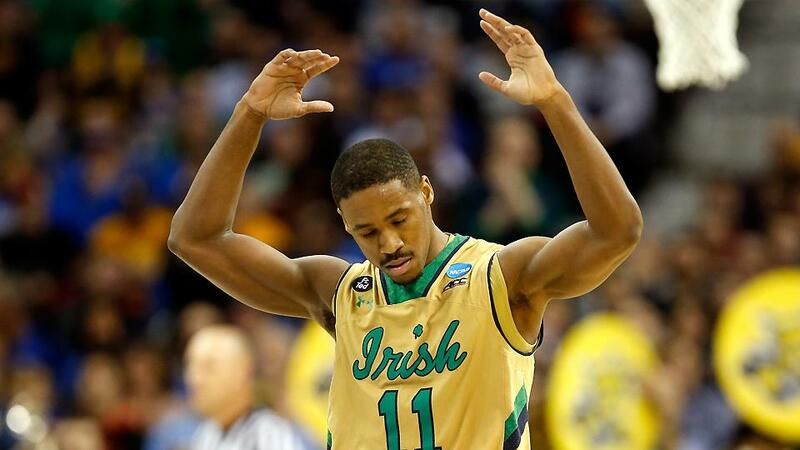 You’ve got to give it to Notre Dame, and you’ve got to take your hats off to Kentucky too. It was both an awful win and an unlucky loss at the same time. Both teams played their hearts out, played their guts out, and played the lights out; unfortunately only one team can walk out a winner. So let’s learn another lesson; let’s not be intimidated by the Kentucky’s in our life. Let’s not be afraid or alarmed or overawed or overwhelmed by unbeaten seven footers or undefeated three-point shooters. Learn the lesson. You can. You can beat King Kentucky. And Kentucky can, and did, abolish the Irish. Next > Michigan State Has Hope!